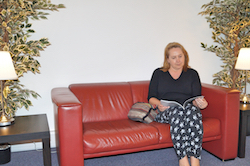 Our personal therapy rooms are located on the third floor of the Counselling Centre building accessed from Mill Bay in the heart of Folkestone’s creative quarter. Access to the Counselling centre is via a door entry phone. There is access to a lift, toilet facilities and a private seating area. 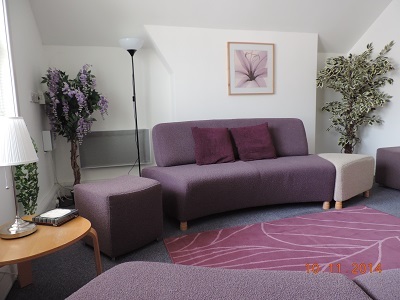 The ‘Lavender' Room is a beautifully designed room with the specific purpose of creating a facilitative, reflective space. Soft lighting creates a warm atmosphere conducive to the therapeutic environment and a confidential counselling relationship. There is a comfortable waiting area and you can access the hot or cold drinks vending machine on the first floor.